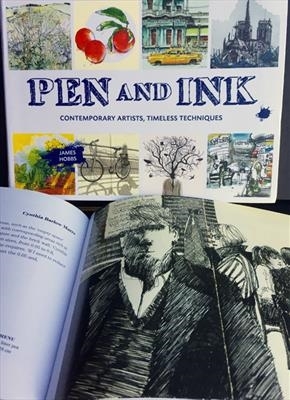 I have four works of art in Pen and Ink by freelance editor, author and artist James Hobbs. It's a beautifully designed 200-page handbook with contributions from more than 30 artists in ten countries. The British version was published in 2016. But if you read Spanish, German, French, Portuguese or Dutch, you're in luck: James' book has been published in all of these languages. The drawings, of course, speak for themselves.